Pearl Harbor Sediment Transport Evaluation | Sea Engineering, Inc.
As part of the environmental Remedial Investigation of the Pearl Harbor sediments, SEI conducted a sediment transport analysis to determine the risk of contaminant exposure and movement. SEI developed an assessment based on a combination of data analysis, numerical modeling, and spatial analysis techniques. These novel techniques allowed overall patterns of transport in the harbor to be assessed. 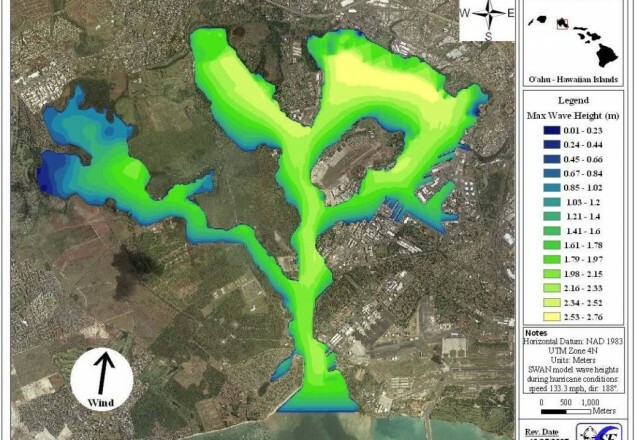 These preliminary results will be used in further feasibility studies in Pearl Harbor.